If you are reading this you already have my respect and admiration. Recognizing that something is not working in your life and thinking about entering therapy takes courage. Depression and anxiety can be overwhelming. Relationships can be frustrating and unsatisfying. Parenting can feel bewildering and thankless. Bad memories can refuse to shrink and fade. You may find yourself coping in ways that just make things worse. Or it may be that you are feeling concern about your child or adolescent. Perhaps their grades have dropped, they are withdrawn, angry, worried, or frequently tearful. Despite our best intentions sometimes kids won’t accept guidance and support from us as parents. In that case it can give peace of mind to have them evaluated and, if appropriate, treated by someone you can trust. In my experience clients often get a sense of relief just by deciding to get help. Talking about problems confidentially to someone who cares, someone who has helped others solve similar problems, can give new hope and direction. Although reaching out for help feels vulnerable and scary, therapy can lead to lasting improvements in the quality of your personal, family or work life. Elise obtained her undergraduate degree from Purdue University, her Masters degree from the University of Chicago, and completed a two year post-graduate program at the Family Therapy Training Institute. She is a licensed Clinical Social Worker, and Marriage and Family Therapist. She is fully trained in Eye Movement Desensitization and Debriefing (EMDR), a recognized method of trauma treatment. 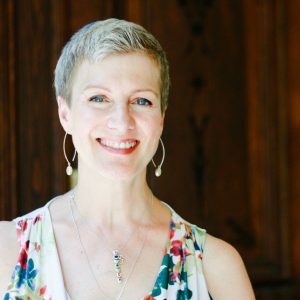 She further trained for two years in Somatic Experiencing (SE) and believes working with the nervous system is essential to healing, as well as a way to get some immediate symptom relief. Elise has also trained in the Comprehensive Resource Model (CRM) which, among other things, emphasizes establishing a sense of safety before approaching trauma. Additionally, Elise uses Hypnosis when appropriate to assist her clients in learning to relax as well as to access their inner resources. Her particular areas of interest and expertise include parenting, divorce and remarriage, and anxiety and trauma in children and adults. She has been married for more than 25 years and has two grown children. In her free time she enjoys playing the piano, hiking, taking french lessons, reading, and spending time with her family, friends, and numerous pets. When you are choosing a therapist it is important that you take your time and select the best provider for your needs. Every therapist is different and has their own approach, expertise, and personality. I would suggest that you chat on the phone with a potential provider to get a sense of whether you will have a comfortable “fit”. Use the initial consultation to continue sensing whether you feel comfortable opening up and whether the provider has a style that works for you. The therapist will also be making a determination as to whether they believe they are the best person to meet your needs. If you are seeking therapy with your spouse or child make sure they feel comfortable as well. If for any reason you decide that the fit is not good do not hesitate to ask the therapist for a referral to someone else. Our goal as providers is that you have the absolute best treatment experience possible and we are happy to help you find someone who may match your preferences better. You may have to interview more than one therapist before finding your match but, although difficult, this initial investment of time is well spent.